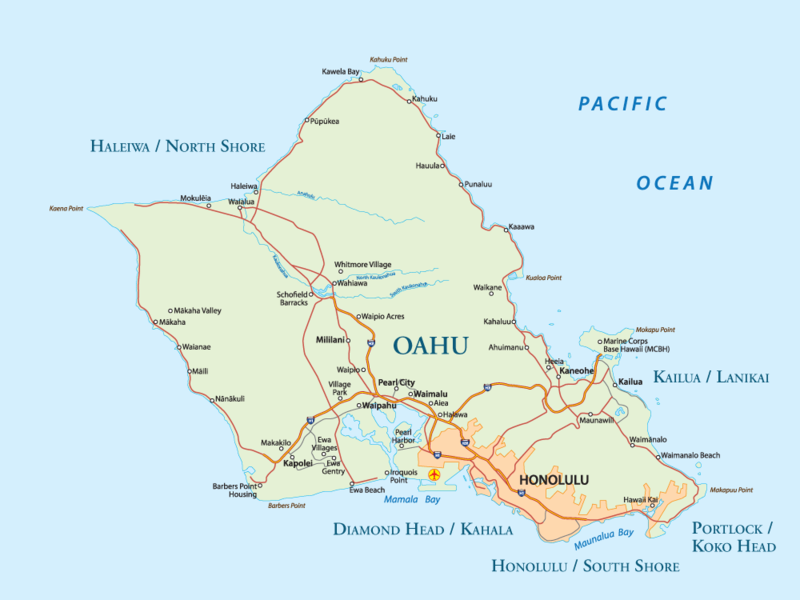 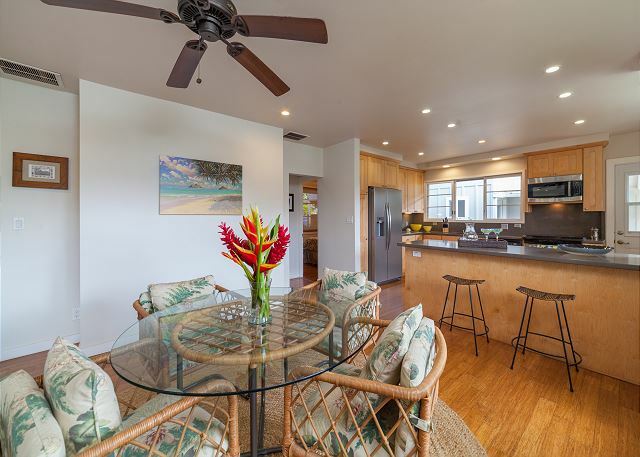 Mokulua Cottage – Luxury Vacation Homes, Inc. 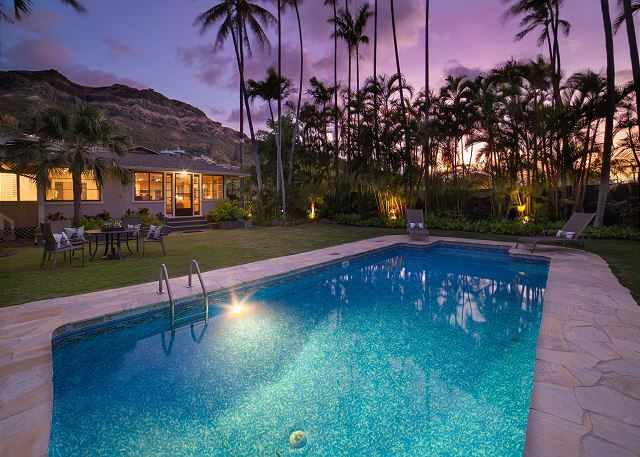 This 3 bedroom, 3 bath with a private pool is the perfect location to relax and unwind. 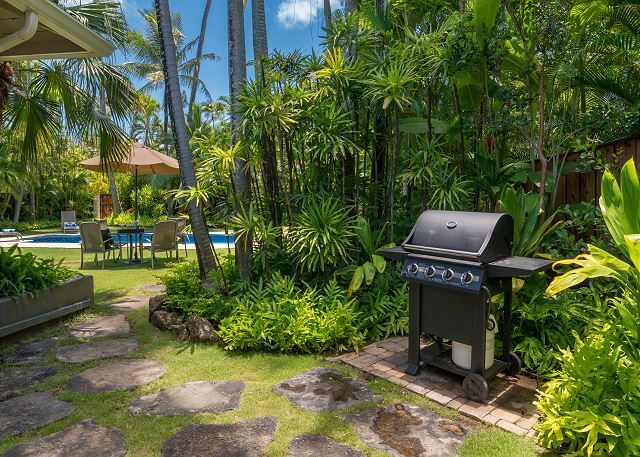 The entire property is surrounded by lush landscaping, beautiful palm trees and tropical flowers. 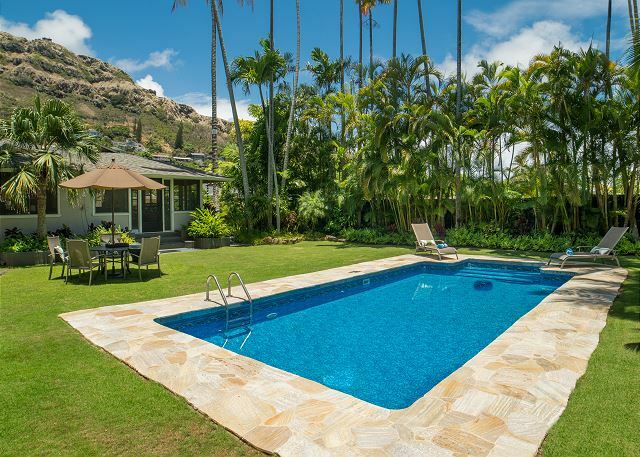 The spacious yard is perfect for sun bathing, barbecuing or enjoying your favorite cocktail after a dip in the pool. 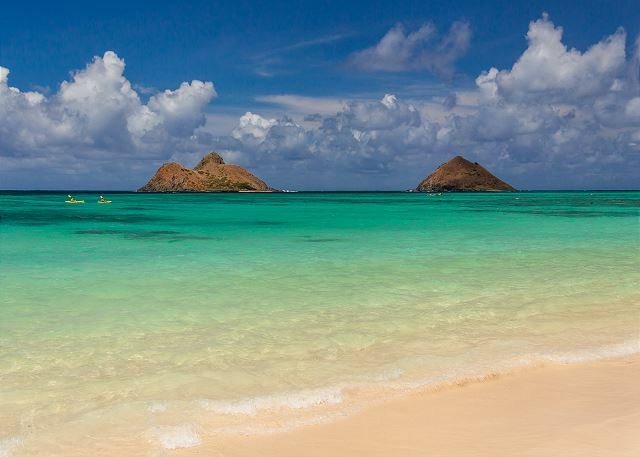 Prefer the white sands and turquoise waters of Lanikai Beach? 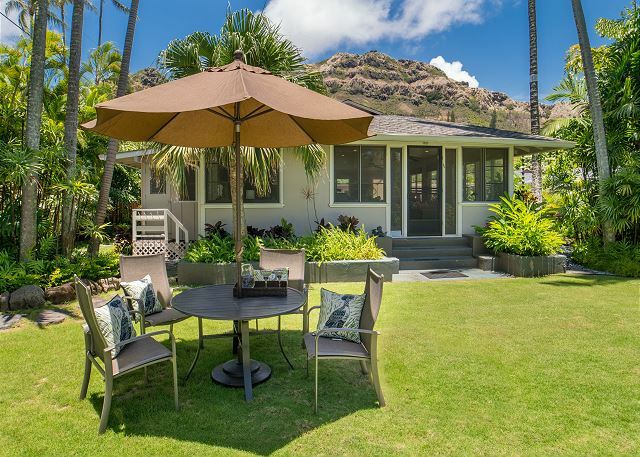 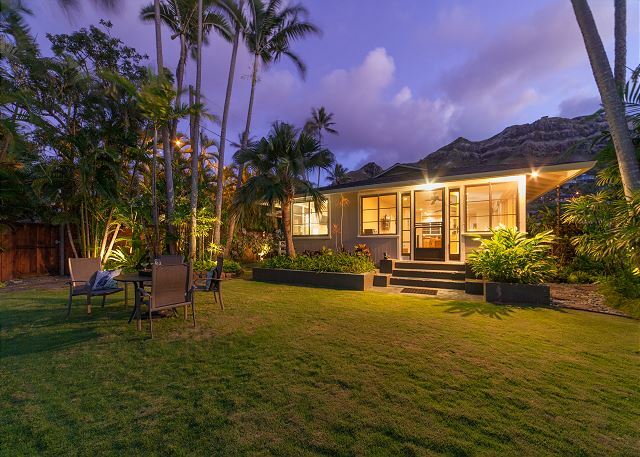 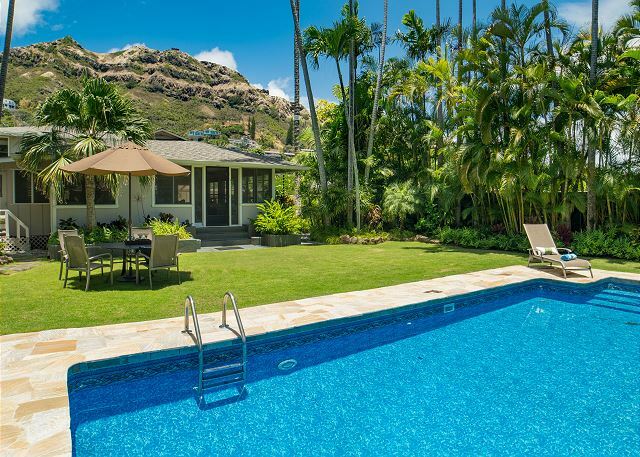 The property is conveniently located just a few steps from Lanikai’s beach access. 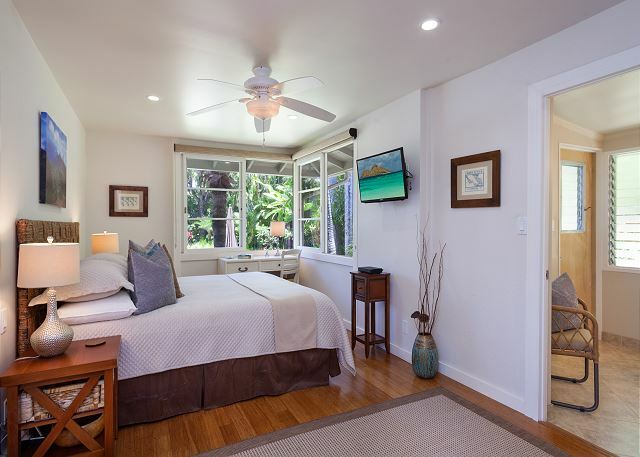 The main house includes a master bedroom with king bed, TV and bathroom ensuite. 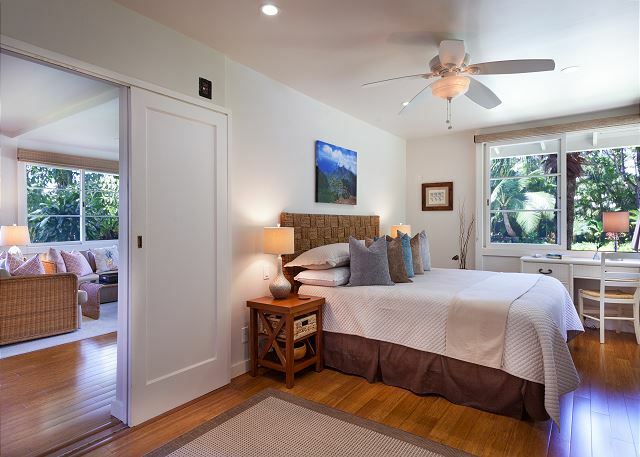 The guest bedroom has a queen bed and separate bathroom. 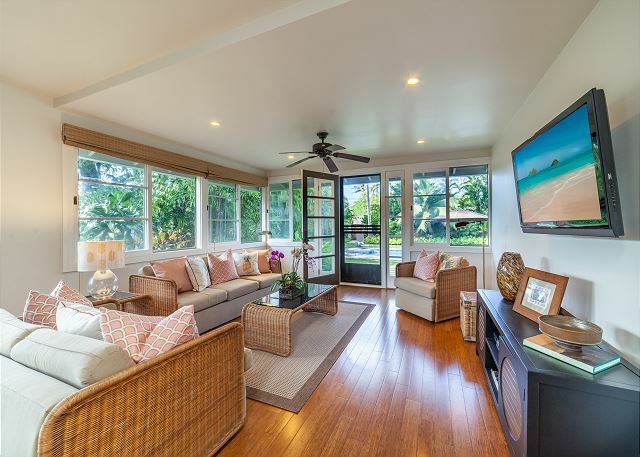 The living room space is cozy and comfortable with warm, natural light, bamboo flooring and views of the pool and landscape. 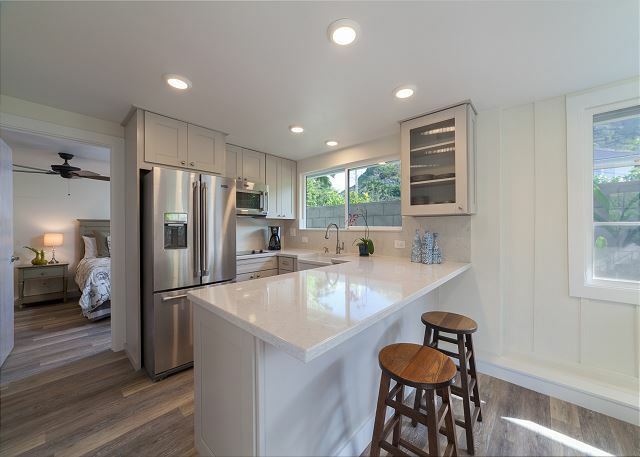 The updated kitchen is fully equipped and includes a glass top range and oven, dishwasher, microwave and all the kitchenware needed to whip up your favorite meal. 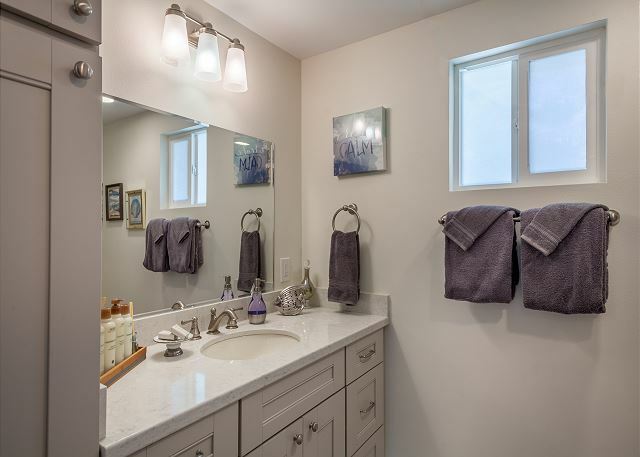 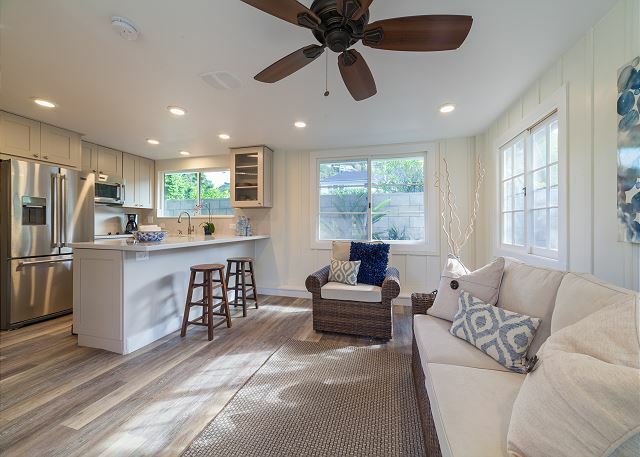 A newly-built one bedroom, one bath cottage has a private entry and features a charming open-floor plan, fully-equipped kitchen, bedroom with queen-sized bed, and separate bath. 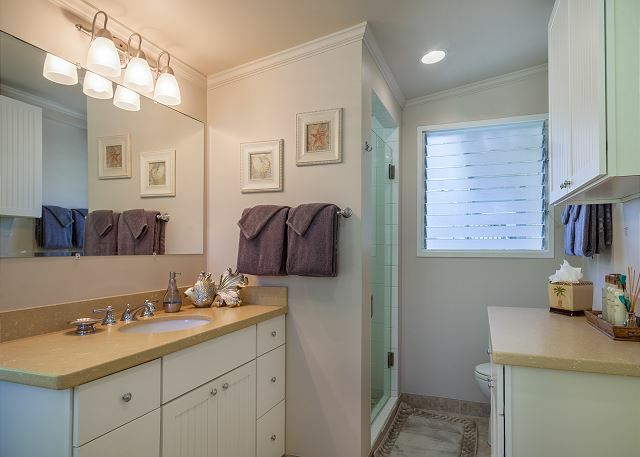 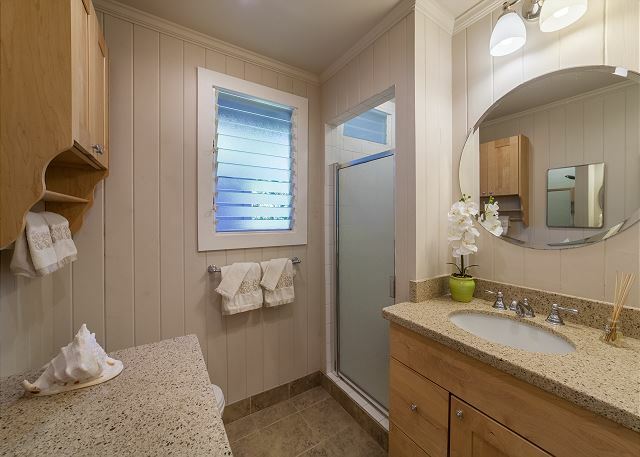 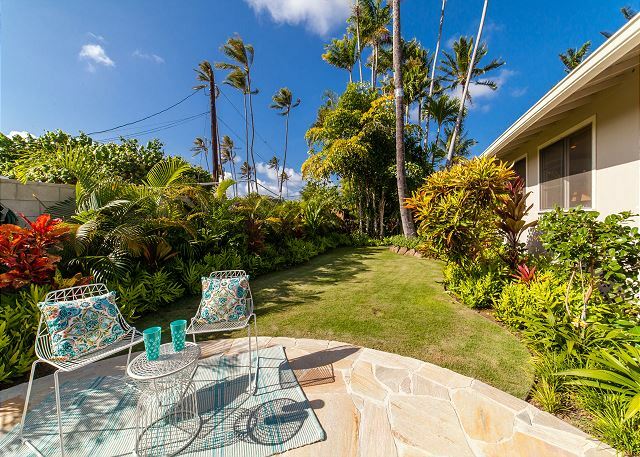 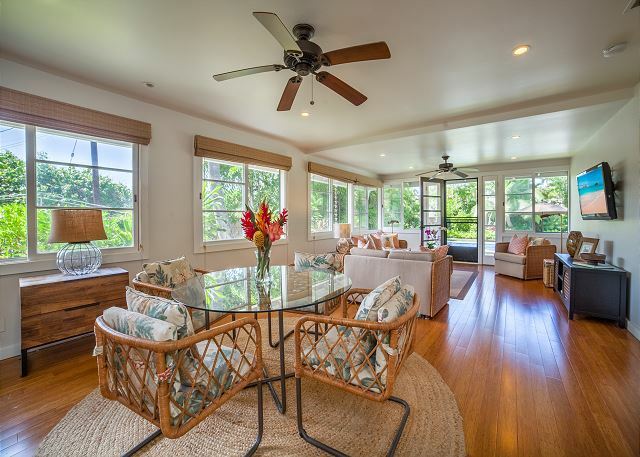 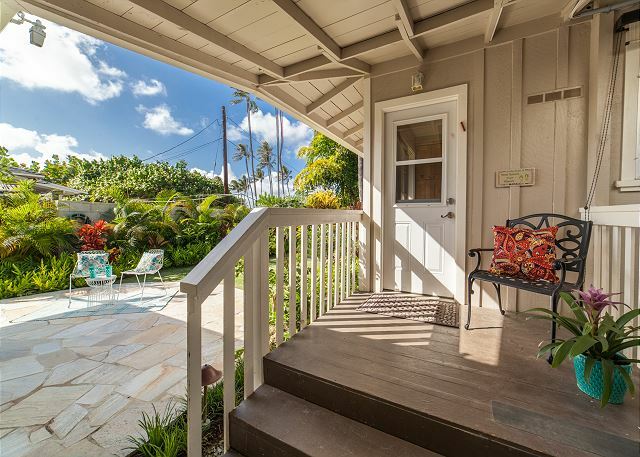 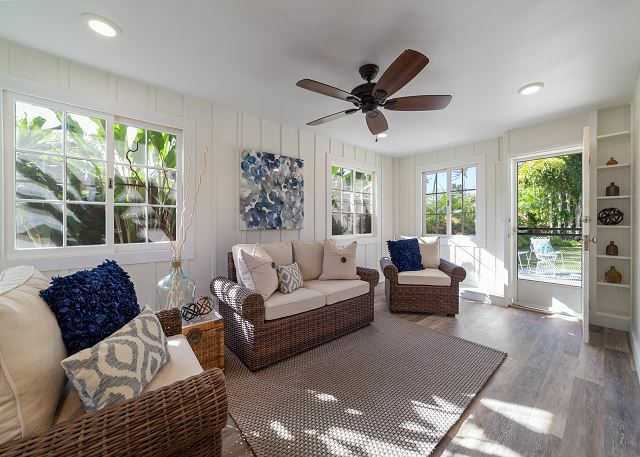 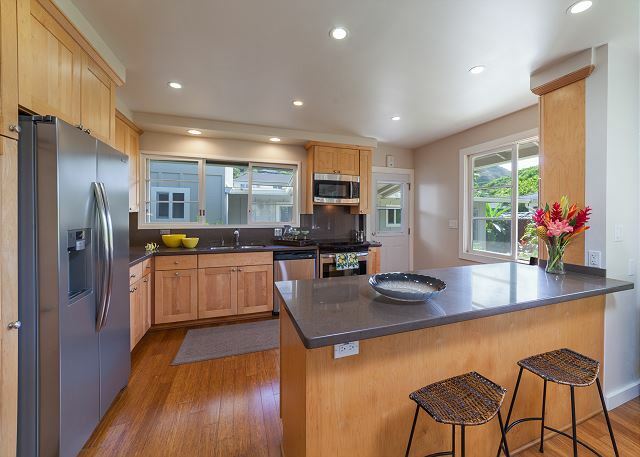 The home is located in the middle of Kailua’s popular Lanikai loop – convenient to the beaches, hiking trails and a short drive to the center of Kailua Town. 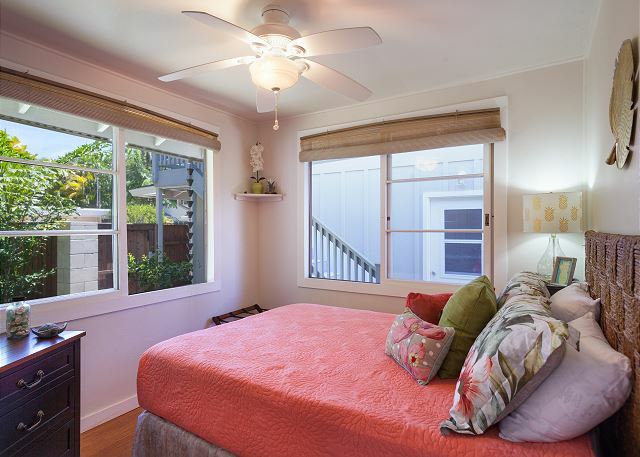 This house is on a lot shared with 3 smaller units behind it that have long term tenants. 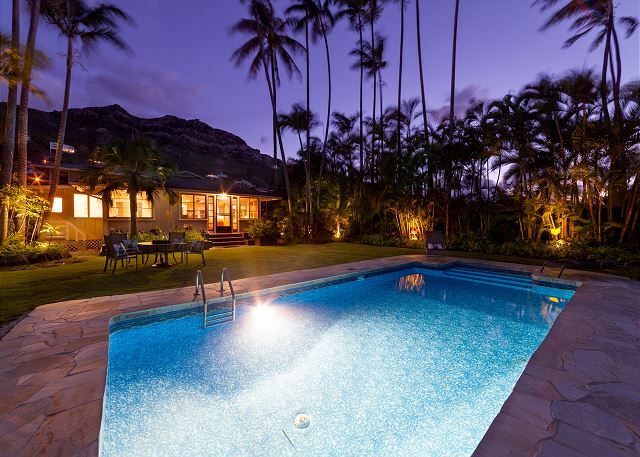 They do not have access to the house or pool use. 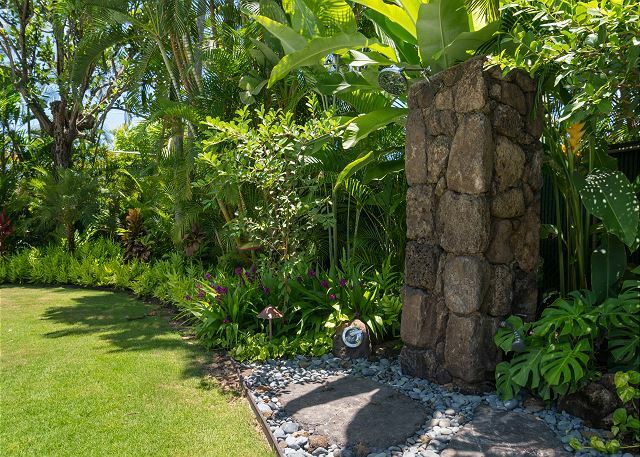 Only 1 parking spot within the gates property, additional on street.